Ofcom has issued O2 with a deadline for compliance and detailing what steps they will take if O2 don’t adhere to it. If the breach, under the Wireless Telegraphy Act 2006, is not corrected by the end of June 2008, Ofcom will cut off four months from the 3G licence, shortening it to 31 August 2021. Given the original costs of the licence, that could equate to a fair lump of cash – £40m. Back in 2000, O2, or One2One BT/Cellnet as it was known as then, paid the UK Government £4 billion for the privilege of having a 3G licence, part of the £22Bn paid in total. The cost of building out the 3G network has been extensive, with little income in to balance it for the much-promised 3G services. Back in December last year, 3 UK and T-Mobile agreed to share their 3G network, thus saving them an estimated £2 billion over ten years. 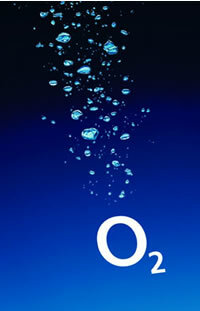 O2 (MMO2 then) took the financial hit in their accounts with a massive £9.6 Bn write-down back in 2003. Hm, I thought T-Mobile were One2One.. and O2 was BT/Genie/Cellnet?